jCaster - "j" as in "jahmaican", not as in "java" obviously! So I was bored and I was reading about raycasting here and I decided to rewrite this in Ruby. There's still room for improvement, but it works as is. Wow! Pretty fast, especially considering that you're using TexPlay. That is using textured quads though, so uses quite a different method of rendering. 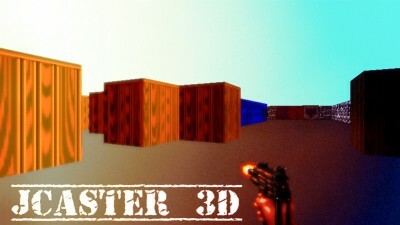 This raycaster ONLY draws vertical lines, but it is very effective. EDIT: Oops, yes, it is the same as rubystein. Think that technique might be a bit slow in Ruby though, since you have to read and set pixels, not just draw whole lines (went down from 50 to 3 FPS when I just drew the lines pixel by pixel rather than using a line primative...so not a possibility!). Actually, thinking about it, doing it efficiently in Gosu would probably involve cropping down to a single vertical line and drawing the whole texture directly on the screen. Maybe I'll have a play with that myself. Curious if it is doable. I think that is exactly what Rubystein is doing (or was doing - it seems only there are only forks left on github). I'm really impressed that Texplay worked so fast. 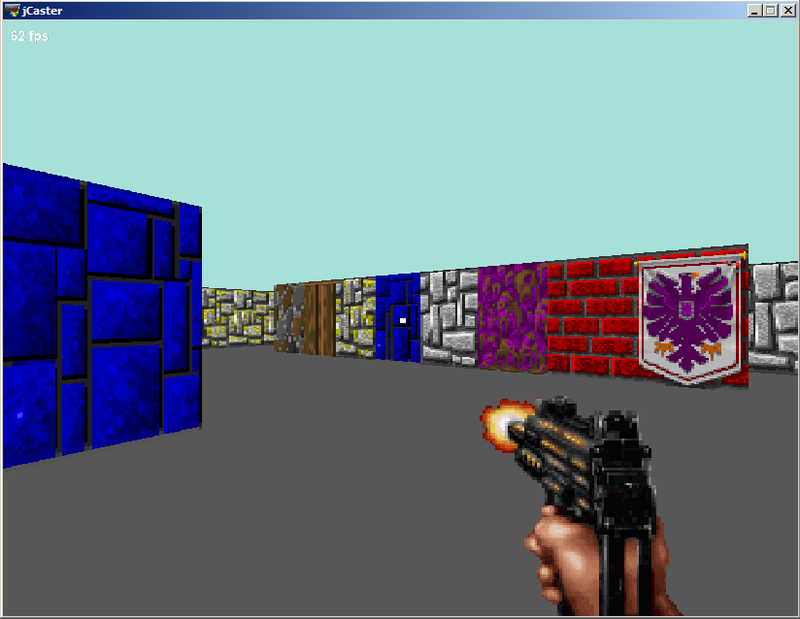 I still get 45FPS when I run it at the full 640x480. Then the movement speed is no longer dependent on actual FPS. This is killer!... It's a like a nice paintball battle arena, all ready to be put into action. This deserves at least 4 thumbs up, and dozens of toes also up. Bored at work I was experimenting with texplay :texture parameter. This clearly isn't the result I was hoping for, but I was suprised to find out it has nearly no negative influence on program performance. And it works even faster than the recent version - omg so efficient! No time now, but I'll upload it later today (or tomorrow maybe). I just cd'ed into my jcaster folder and ran "git pull origin" followed by "ruby jcaster.rb". This is wonderful. Awesome awesome awesome. and it has virtually no negative influence on performance, because every piece of wall is still represented by an integer, eg. 0x01020304 means there will be texture 1 put on side 3, texture 2 on side 2, texture 3 on side 1 and texture 4 on side 0 . Proper texture is chosen by only two bitwise operations. And your CPU loves bitwise operations. 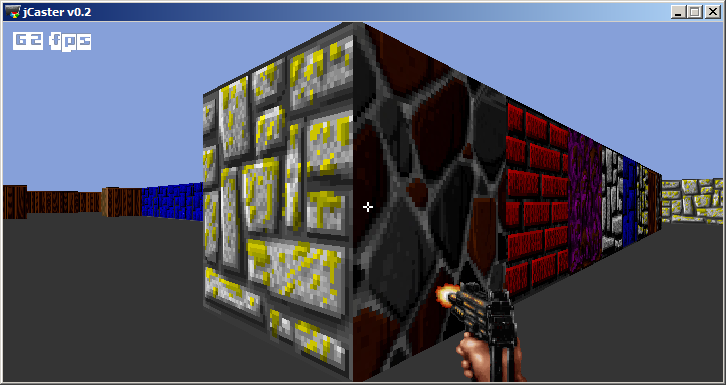 This kind of representation also introduces a limitation of 255 wall textures per map, but I reckon it's more than enough for a raycasting engine.